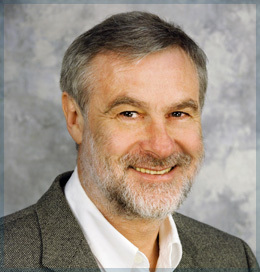 Dr. Ernst Reichenberger is Professor in the Department of Reconstructive Sciences and affiliated with the Department of Genetics and Developmental Biology at the University of Connecticut Health in Farmington, Connecticut; and a founding member of the Center for Regenerative Medicine and Skeletal Development in the School of Dental Medicine at the University of Connecticut Health (UConn Health). Main areas of Dr. Reichenberger’s research are the investigation of genetic disorders of the skin and the skeletal system with special interest and focus on keloid research. For the past several years, Dr. Reichenberger has been engaged in a large-scale project of identifying susceptibility genes for the familial and the sporadic forms of keloid formation. In collaboration with statistical geneticists, he is using genome-wide association and linkage analysis approaches to identify keloid gene loci, and whole exome sequencing to identify candidate genes. Dr. Reichenberger is a member of several scientific societies and recipient of numerous US NIH grants including NIH/NIAMS R01 research grant to study Molecular Mechanisms for Keloid Formation. He is author and co-author of several original keloid genetic research papers.